Frank Tayell's Blog: What next? I'm going to alternate books from now on. 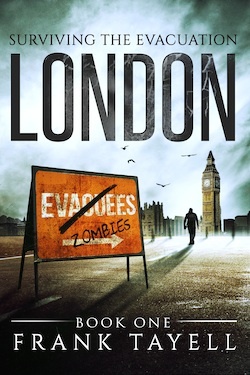 One zombie book to one absolutely-no-undead-whatsoever book. The first of these is a novella titled 'Work, rest, repeat...' and is a dystopian murder mystery set fifty years after The Great Disaster ravaged the Earth. It's about three quarters of the way finished, and I'm hoping to get it out in August. In the Autumn I'll be publishing the next Evacuation novel. 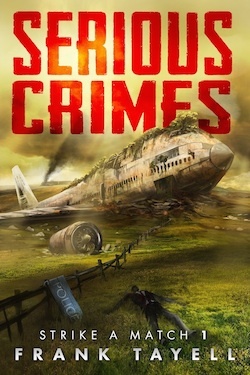 The prologue and epilogue are set on Anglesey, a few days after the events of Book 3, with the main story set in during the first few weeks after the evacuation. It'll feature a couple of characters you'll recognise and quite a few you won't. More will be posted when I get more written, and that will probably be on the new website. For now, can I just say thank you?